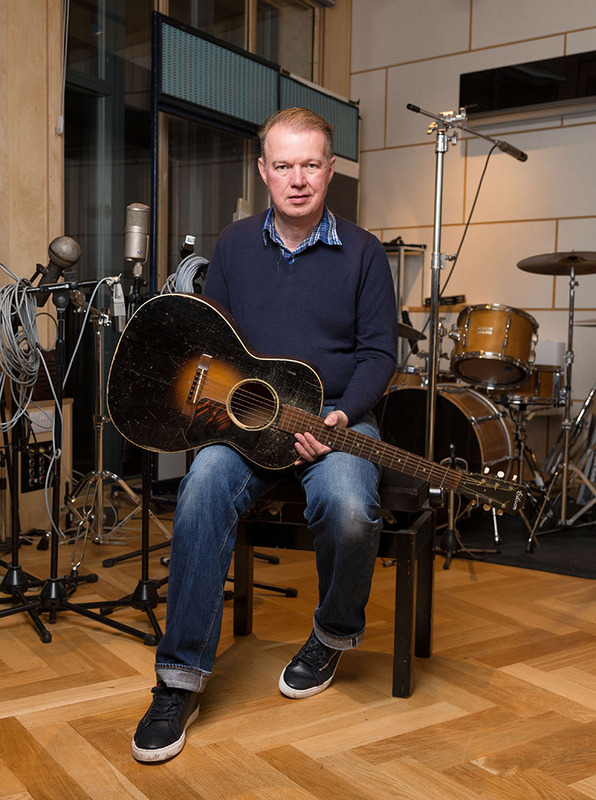 Edwyn Collins releases his latest album today (March 29th, 2019). 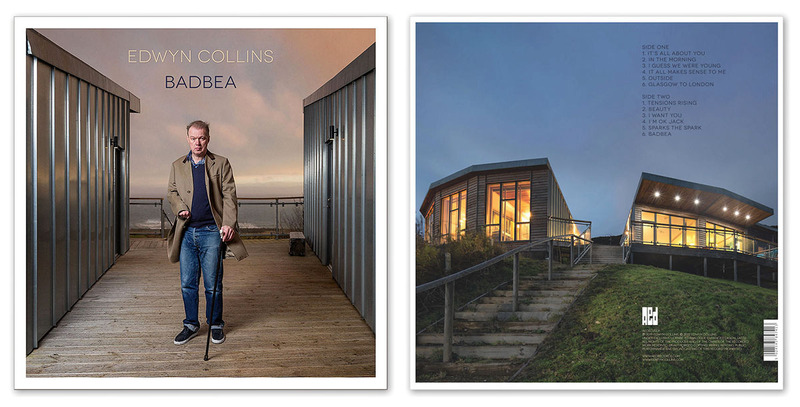 This is the story behind the two photographs featured on the album cover. 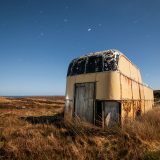 Recorded at his recently completed Clashnarrow Studios in Helmsdale, Badbea (pronounced ‘bad-bay’) is named in honour of the nearby abandoned village that was founded by people driven from their land during the clearances of the 18th & 19th centuries. It remains as a reminder of the suffering and resilience of those communities. 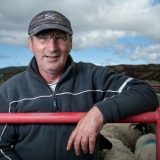 In November 2018, I spent a couple of days with Edwyn and his wife Grace. 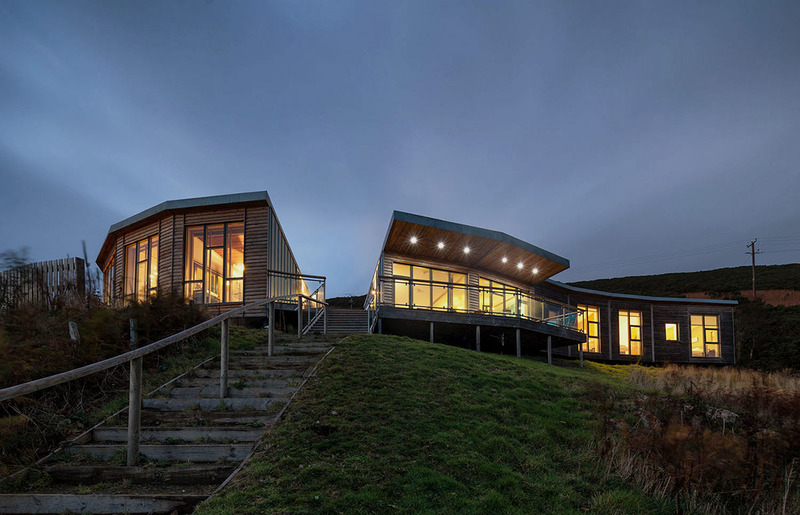 Their headquarters since moving back home to Scotland in 2015 is Clashnarrow Studios – a striking pair of contemporary timber and zinc clad buildings, perched on a hillside above the old family home, overlooking the North Sea. I’d been invited to come up with a couple of photos for the cover of his new album, and take some extra shots they could use for PR etc. 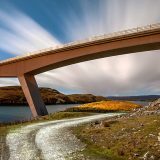 For starters, we spent several hours on the road, looking for interesting photo locations. 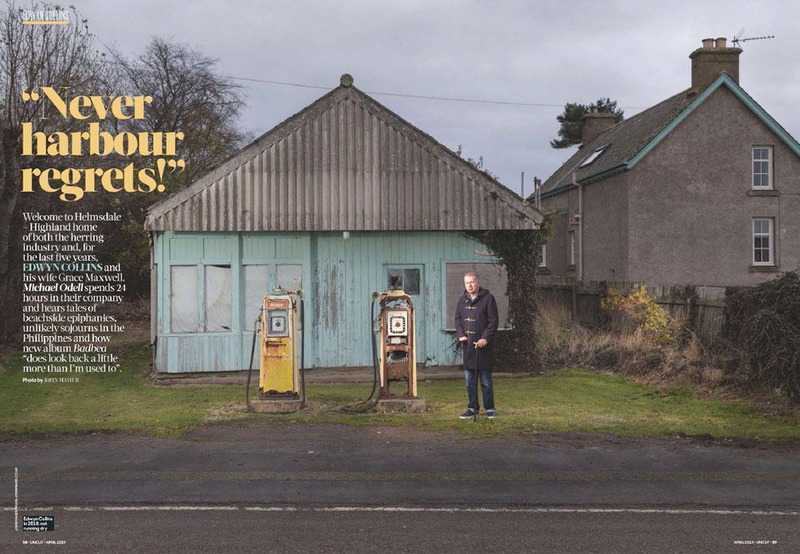 Grace suggested we start at the derelict petrol station in the village of Brora. Right up my street. It’s a great spot but I didn’t think the results were quite right for the album cover. 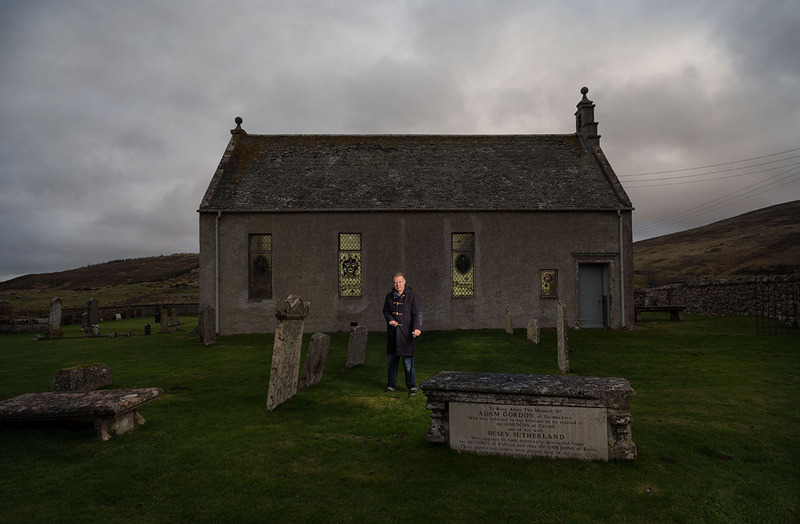 Nevertheless, it was good to see Uncut Magazine use my Brora shot as a double page spread for a six page article in their April 2019 issue. Back in the car and next stop was Kildonan; one of the villages whose occupants were evicted during the clearances, many of them relocating to Badbea. After weighing up the lay of the land, I took a few pics of Edwyn by Kildonan Church. Interesting but still not feeling this was an album cover shot. We drove around some more before heading back to the studio, arriving just before sunset. I couldn’t help noticing how what remained of the hazy sunlight was reflecting off the zinc clad walls. 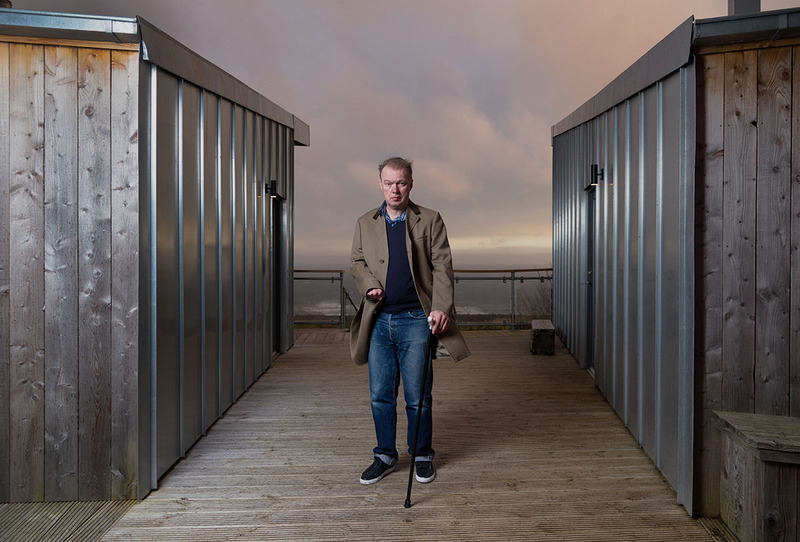 I asked Edwyn to stand between the two buildings that make up his brand new studio complex. This had the potential to make for an interesting shot. Before I clicked the shutter, I politely mentioned we already had several pics featuring the duffel coat. How about trying another coat or jacket? Grace produced his ‘gangster’ coat. This was looking good. Using a single strobe, left of camera, the zinc cladding served as giant reflectors. I showed Edwyn the image on the back of the camera. Without hesitation, he said: “That’s the cover shot”. Now I needed something for the back of the album sleeve. When I first saw the two studio buildings, I had a twilight architectural shot in mind. It’s a technique I’ve used before to good effect. The trick is get a good balance between the ambient light conditions and the building’s internal lighting. This usually happens approximately one hour after sunset, but due to a large number of variables, it’s not an exact science. Brief tech explanation: I switched on all the internal and external lights in both buildings. The sun had just set, so the sky was darkening minute by minute but wasn’t yet dark enough for what I wanted. The studio sits on top of a steep incline. As with most of my architectural pics, I used a tilt-shift lens to compose the image in-camera to avoid converging verticals i.e. a conventional lens on a camera tilted upward to get the studio in frame, results in a picture that makes the buildings look like they’re leaning backwards. From here, it’s a case of waiting for the sky to darken to a point it still has enough residual light to retain some ‘blueness’, but not so dark that the interior lights dominate the shot. At this time of year (November), the ambient post-sunset light level changes very quickly compared to the summer months, so the window of opportunity for this type of shot is very narrow – maybe 10 to 15 minutes at the most. 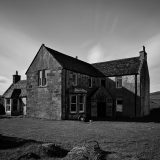 You know when it’s gone too dark because the image becomes way too contrasty – the dark areas turn to black and the lights start to blow out (i.e. loss of detail). About 30 minutes after sunset, my first test shots were around 2 seconds long (ISO 100, f/8). As the sky darkened I kept increasing exposure time to compensate. For the end result I was up to 13 seconds. While the shutter was open, I painted additional light into the darker areas (steps, handrail, grass in the foreground) with a handheld LED torch. The aperture of f/8 on my Canon 17mm TS lens gives a huge depth of field and well defined starburst effects on the exterior lights in the canopy over the veranda. Nipping back indoors to share the result, again Edwyn made one of his snap decisions: “That’s going on the rear cover”. Also, both of the pictures he’d chosen suited the square crop required for an album sleeve, and both had suitable areas for text and track listings etc. 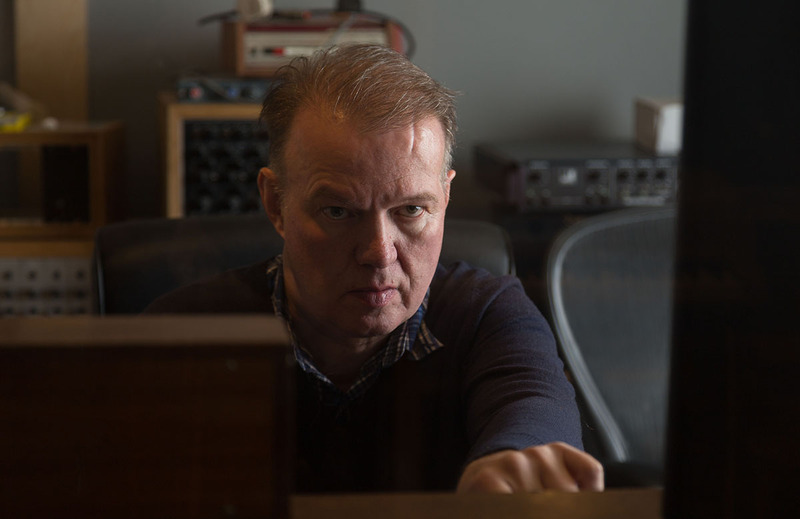 Having clocked up many miles searching for inspiration earlier in the day, none of us had realised the solution was literally on Edwyn’s doorstep – the place where his new album was created. Neat and appropriate. 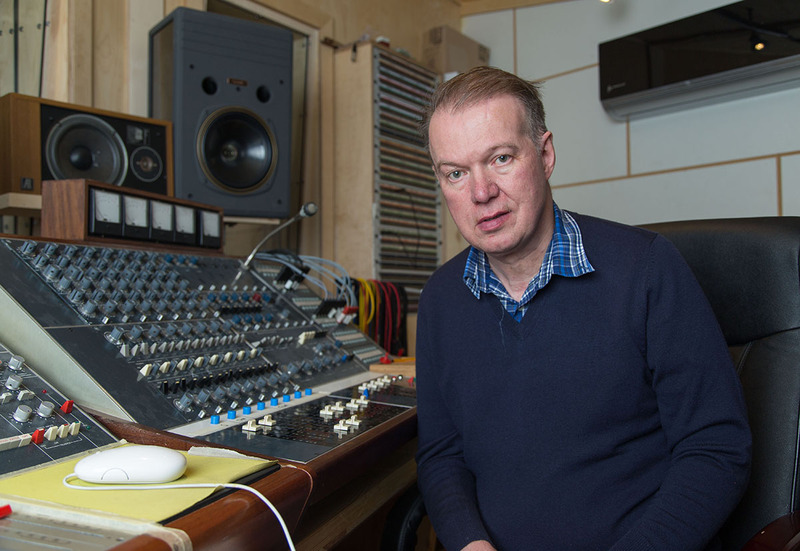 To finish, we did a series of shots in the studio itself, but not before I was given a personalised tour of the Edwyn’s massive collection of analogue studio gadgetry. It’s an affliction he’s well known for. 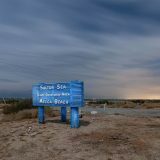 Badbea was released on March 29th, 2019. Check it out! A big thank you to Grace and Edwyn. An amazing couple! If you’re not familiar with their story, check out ‘The Possibilities Are Endless’. See link below.